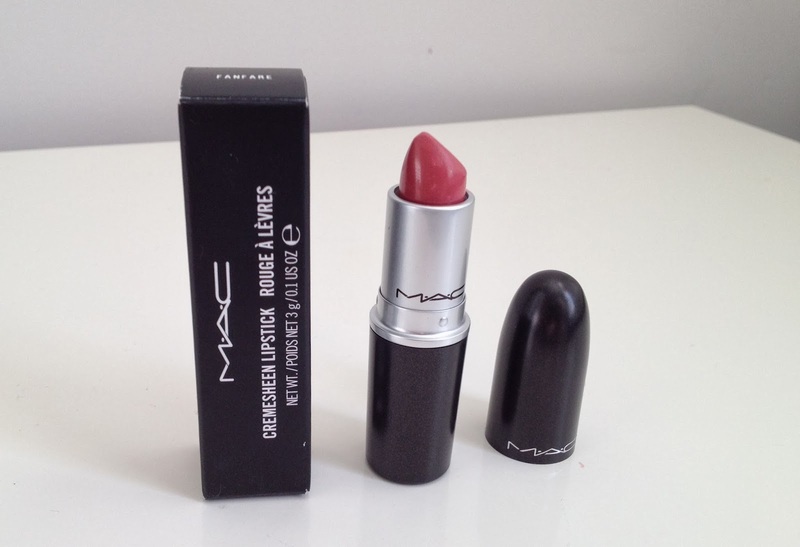 For this week's MAC Monday it just had to be my most recent MAC discovery: MAC Fanfare Lipstick! I recently posted about trying to find the beautiful warm pink lipstick I saw on a TV advert (HERE). Well as it happens I have found it! I can thank Kate at Ghostparties for this one as she recently posted about MAC Fanfare and I just had to have it! 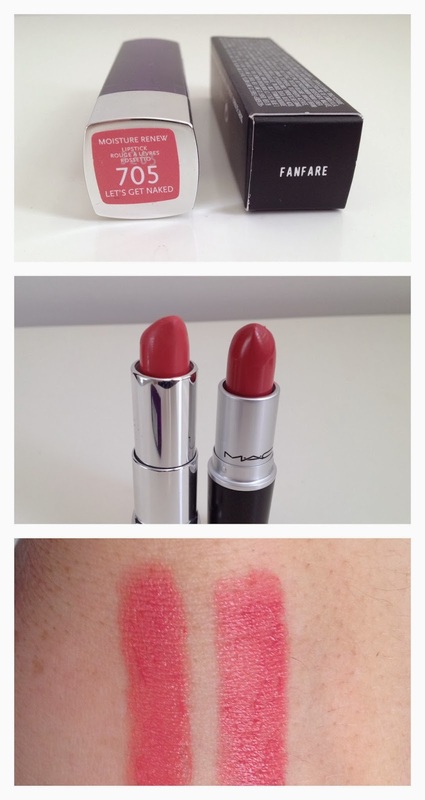 MAC Fanfare is a Cremesheen so it is a moisturising and creamy formula but with a good colour payoff. The colour is opaque rather than sheer. I have mentioned before that I struggle with blue toned pinks, but this is a warm yellowy pink and really suits my complexion. Like all MAC Lipsticks there is a lovely vanilla scent and the lipstick is packaged in black plastic bullet-shaped packaging. The wear time isn't bad - a few hours depending on whether you are eating or drinking. Obviously I would love a better wear time because I am lazy at reapplying, but unless you have a drier formula then it is hard to find. 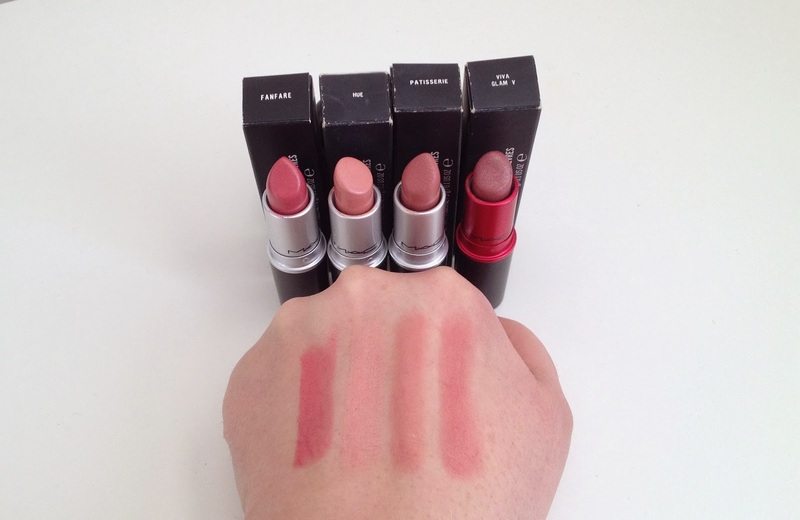 (The MAC Huggable Lipcolours aren't bad though as they are a gel type formula which really does seem to 'cling' to your lips, although the colour is less opaque: see my reviews HERE and HERE). Having just started my new job I know that MAC Fanfare is going to be a perfect daytime office-appropriate shade. I may have to persevere with re-application though to keep it looking good all day. Pink lipstick is a new area of exploration for me. For a long time I wrote them off as something I couldn't wear, for fear of looking like a dotty old lady. But I really am starting to embrace them now. 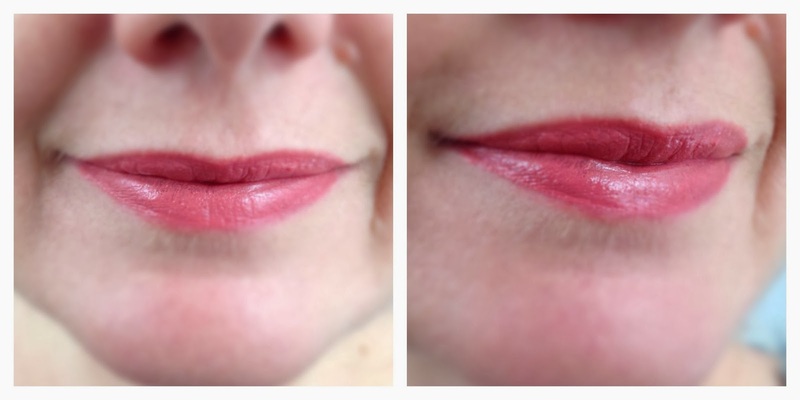 Swatched against my other more natural pink toned MAC lipsticks you can see the warm colour of Fanfare. Rummaging further into my lipstick stash the closest colour that I have is a Rimmel Moisture Renew Lipstick in Let's Get Naked. The colours are close but not complete dupes. The Rimmel lipstick is an even more moisturising formula than MAC's Cremesheen - and the staying power is still really good! MAC Fanfare is £15 HERE and if the pennies are tight then Rimmel's Moisture Renew Lipstick in Let's Get Naked is a similar shade and just £6.49 HERE.